Home Payment Information Business Hold for Registration? Posted on November 2, 2016	by Sara McCuan	in Payment Information	with Comments Off on Business Hold for Registration? 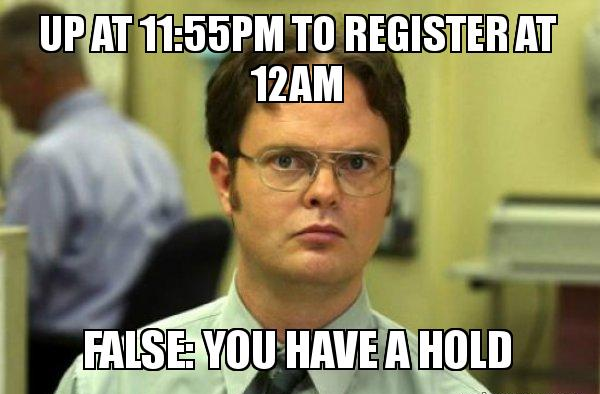 Are you looking to register on time for the SP-17 term? Please check your email and billing account regularly to make sure you do not have a BUSINESS HOLD restricting you access to register! Please contact our office with any questions at studentaccounts@jessup.edu.